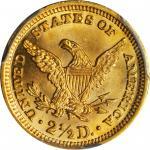 Lot:3017 1892 Liberty Head Quarter Eagle. MS-65 (PCGS). 1892 Liberty Head Quarter Eagle. MS-65 (PCGS).A simply outstanding Gem, both sides are brightly lustrous with frosty devices and modestly reflective fields. Fully struck throughout with gorgeous color in vivid rose-gold. 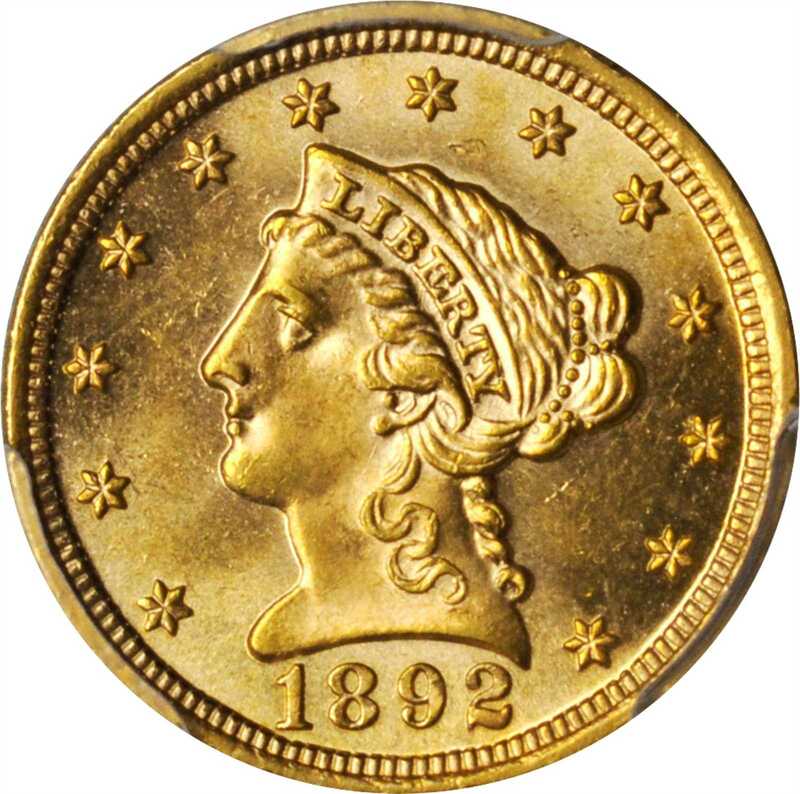 The quarter eagle was never a particularly popular coin in general commerce with most average gold transactions being handled by half eagles. By the 1880s the denomination was struck exclusively at Philadelphia and only in moderate quantities at best. In 1892, only 2,440 coins were produced for commerce and were quickly absorbed into circulation. Meanwhile, the price of silver fell dramatically and the very next year the Panic of 1893 hit, events that prompted many Americans to hoard gold. Fully one quarter of the entire production run for this issue was saved, of which 20% of survivors are in Mint State, primarily at lower levels through MS-63. Premium Choice examples are quite scarce and Gem Mint State pieces are decidedly rare. With its combination of a low mintage and superb eye appeal, expect to see spirited bidding to secure this numismatic jewel.